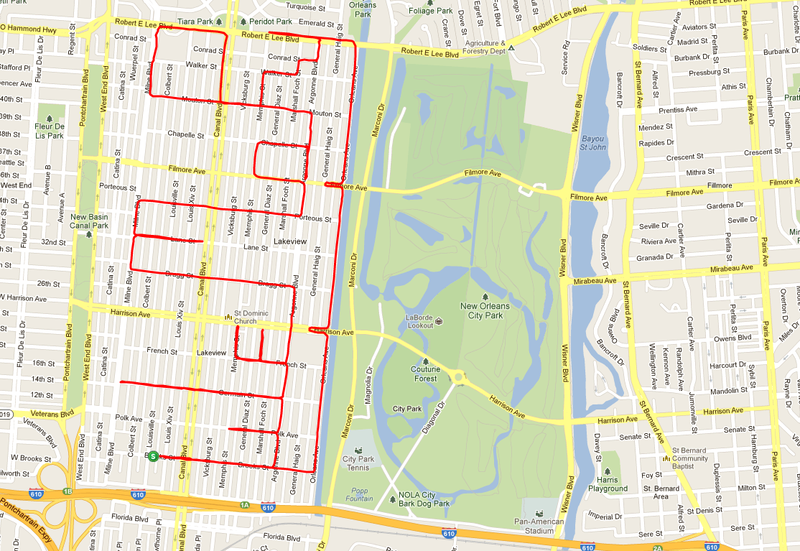 I was a bit perplexed by this odd looking ride (and more perplexed by it’s name) done by fellow NOLA cyclist Matt Erchull. After cocking my head, I realized it read, “WeMoRi”, standing for “Wednesday Morning Ride”. I’ve never been on this ride, but I hear it’s very early and very fast. (Sounds like it needs a Yeah You Ride “Ride Profile”, I just hope I can keep up). 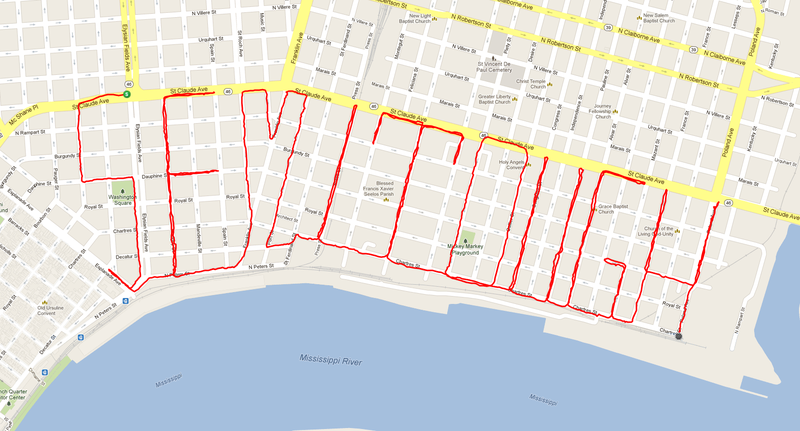 This is not the WeMoRI route, but Matt representing WeMoRi’s claim on the streets of NOLA. As a screen grab of Matt’s ride was soon posted in the Semi-Tough Cycling Club’s Facebook group, I realized the gauntlet was thrown and I needed to answer back.